If intense outdoor adventures are not for you, here’s an itinerary for a perfect, low-key day in Glenwood Springs. With whitewater rafting, thrill rides, paragliding, segway tours, and some of the steepest ski slopes in Colorado, Glenwood Springs is one of Colorado’s best adventure towns. It’s also an ideal destination to kick back and relax. 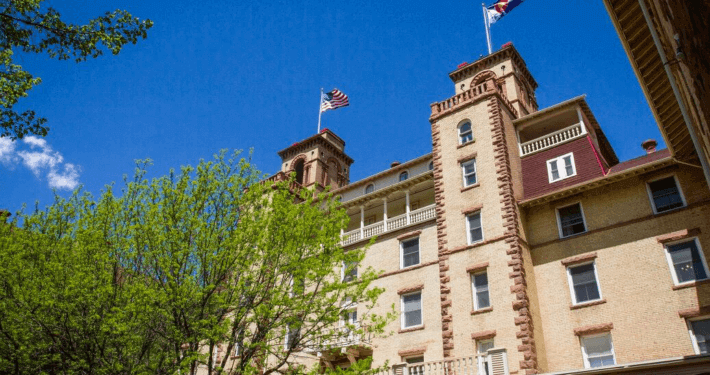 Long before it evolved into an epicenter for outdoor pursuits, Glenwood Springs was world renowned as a place to unwind and rejuvenate. Hot springs amenities, multiple spas, diverse restaurants, and eclectic shops elevate “taking it easy” to an all-day activity that’s mellow, unhurried, and blissful. To begin your day of easy-going contentment, start with a soak or a steam at one of Glenwood’s hot springs—the Glenwood Hot Springs Pool, Iron Mountain Hot Springs, or the Yampah Spa and Vapor Caves—and follow it up with a massage, body treatment, or facial. Each Colorado spa each offers a unique spin on touch therapy. Some notable options include Watsu at Splendor Mountain Spa, Lomi Lomi and Polynesian massage at La Provence Spa, acupuncture at Providence Apothecary, cupping therapy at Simply Massage, a HydraFacial—water based microdermabrasion—at the Spa of the Rockies, and a European Body Wrap to tighten and tone at the Yampa Spa. With so many spas, feeling good is a given; the hard part is choosing. Turn lunch into a special occasion with a delicious glass of wine or a mid-day cocktail combined with an unforgettable meal. Depending on the time of year you visit, you can enjoy them both al fresco. Many of Glenwood Springs’ eateries have outdoor dining; spend an hour or two savoring chef-prepared cuisines while you watch the world go by. To find the perfect place to eat, stroll around downtown and allow yourself to be drawn to what you naturally find most appealing. Almost all of the restaurants have menus posted outside so you can peruse and select what delights you most—an interesting salad, a perfectly prepared steak, or something exotic and ethnic. Many Glenwood Springs restaurants are located in the vicinity of Seventh Street, between Colorado and Cooper Avenues. Other great spots for lunch include North Glenwood, the area near the Hotel Colorado, and The Meadows Shopping Center west of town on Midland Avenue. After lunch, go for a stroll and explore Glenwood Springs’ shops; you never know what you’re going to find. Wander from store to store—shopping is a great way to explore at a leisurely pace. Retail therapy is also a fun social activity. Bring your friends along, or if you’re on your own, chat up store owners about their merchandise. Either way, shopping is a proven mood booster and another relaxing way to spend an afternoon in Glenwood Springs. From souvenirs to swimwear, cowboy hats to candy, and backpacks to books, you’ll find treasures to take home. Glenwood Springs has it all—from national retailers to locally-owned boutiques. The main shopping areas include downtown Glenwood Springs, North Glenwood, The Meadows, the Glenwood Springs Mall, and the Roaring Fork Marketplace. During the harvest season, there are also farmers’ markets on Tuesdays and Saturdays. While many visitors to Glenwood Springs like to go to the extreme with action-packed adventures, rest assured you don’t have to. If the only activity you want to pursue with intensity is relaxation, you can’t go wrong indulging in a little well-deserved R&R—Glenwood Springs style at a relaxing Colorado spa.